Estádio José Alvalade is a purpose-built 50,095 capacity football stadium located in the Portugal capital of Lisbon. 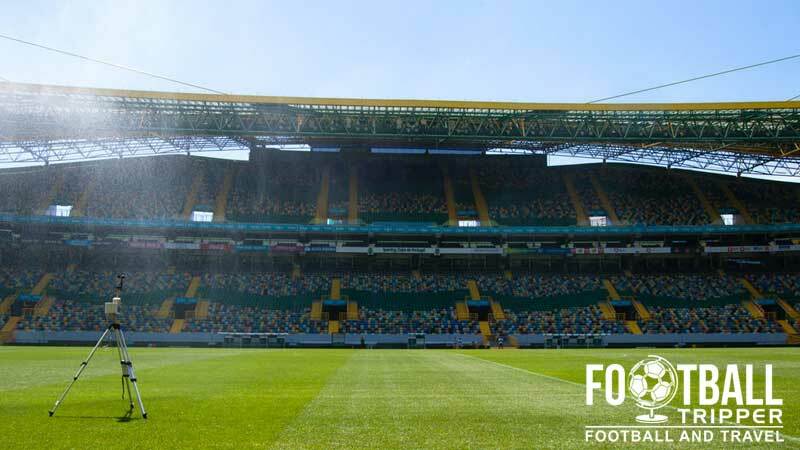 Home to one of the biggest and most recognizable teams in the country, Sporting Clube de Portugal, the Alvalade XXI complex first opened in 2003 in anticipation of the Euro 2004 Tournament. Estádio José Alvalade was constructed for the Portuguese hosted Euro 2004 tournament where it hosted five games including the semi final between Portugal and Netherlands which the home side won 2-1. The inaugural match was held the previous summer on the 6th August 2003 when Sporting Lisbon played Manchester United in an entertaining friendly match which ended in victory for the tenants of the new stadium. Immediately classified as a Five-star stadium by UEFA upon completion, the 50,095 capacity ground was designated as the host of the 2005 UEFA Cup Final which saw Russian side CSKA Moscow defeat Sporting 3-1 in a match with disappointment levels comparable to those of the Euro 2004 final against Greece. 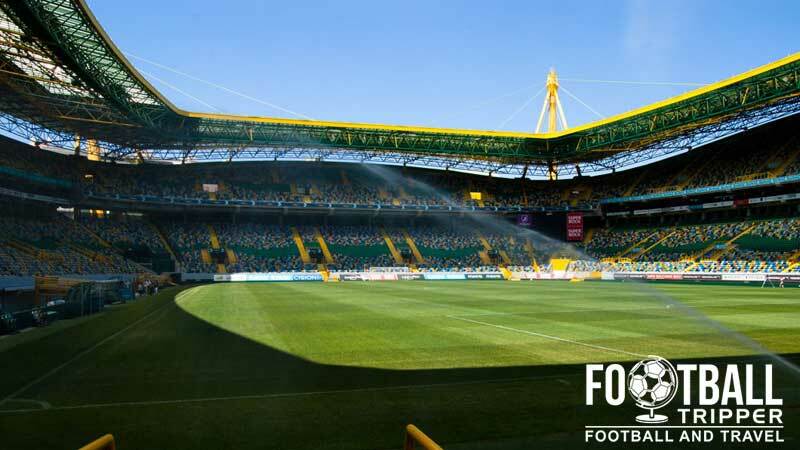 Designed by famous architect Tomás Taveira who also helped conceptualise two of the Euro 2004 stadiums in Aveiro and Leiria, Estádio José Alvalade is famous for it’s bright exterior, curvy architectural lines and colourful seats inside the ground. Built within a wider entertainment complex known as Alvalade XXI which includes a cinema, health club, offices and museum. Built adjacent to the now demolished former stadium, the new Estádio José Alvalade continues to be named after Sporting Club founder despite the trend for commercialisation across Europe, with the record attendance of 48,855 for a domestic match was set when Sporting CP hosted great rivals Porto on the 7th January 2012. 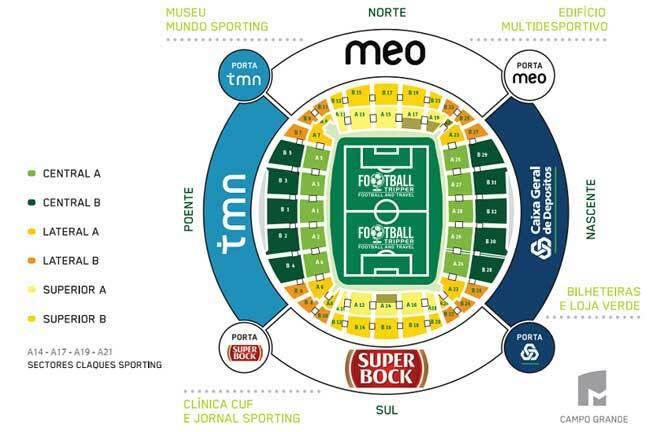 Estádio José Alvalad is comprised of four stands: North, East, South and West. Commonly referred to as Sporting Lisbon across the United Kingdom and some parts of Europe, the green and yellow Portuguese club are actually called Sporting Club de Portugal. Famous globally for being the club from which Manchester United purchased global superstar Cristiano Ronaldo from, Sporting are actually the third most decorated team in Portugal. The recent success of their great rivals Benfica and Porto in European competitions hasn’t sadly rubbed off on Sporting achieving a solitary UEFA Cup final appearance in the 2005. Held at their own ground, Jose Alvalade, the Lisbon based team disappointingly lost to Russian side CSKA Moscow 3-1. A continued fixture of both the Champions and Europa League Sporting Club de Portugal remain one of the most popular teams to visit in Europe outside of the obvious big five leagues. Estadio Jose Alvalade slowly filling up before kick-off with one supporter proudly waiving his Sporting CP flag in anticipation of the match. Away fans are housed within the north-west corner of the stadium across sections A9, A11, B7, B9, B11, and B13 for disabled supporters. Spanning across two-tiers, visiting supporters can enter the ground via Gate 1 (Porta TMN according to our seating plan) which is next to the Sporting Museum. There are storage lockers you may use, and after European matches you will be held back for approximately 45 minutes to allow the home fans to disperse and to ease congestion. The majority of bars are to be found within Lisbon’s city centre rather than at Esstadio Alvalade and the Campo Grande area. There are quite a few overlooking the Tangus River which when combined with the weather make for the perfect drinking spots. 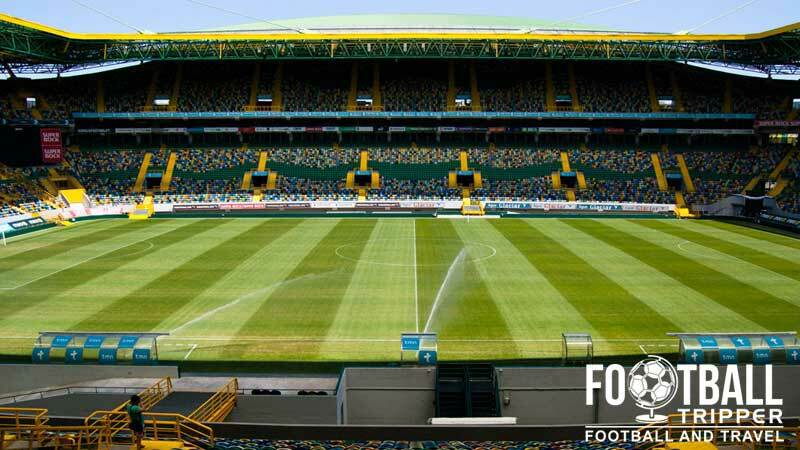 The stadium is situated within a wider sporting and commercial complex known as Alvalade XX1 which contains a mall. Sporting Club Portugal operate a store at the stadium in addition to an online shopping page. The club shop is known as the “Loja Verde” which translates as green shop and is located in the south-eastern part of the stadium where tickets are also on sale. A sneak peak inside one of Sporting Club’s club shops. Tours are available from inside the World of Sporting Museum which is located in the north-west corner of the stadium. The museum is usually open seven days a week from 11.00 am to 6.00 pm, however the stadium tours only run three times a day at 11.30 pm, 2.30 pm and 4.00 pm. For further information and to clarify opening times feel free to send an email to [email protected] or phone the museum on +351 217 516 444. Tickets to see Sporting play at home can be purchased online and printed out at home, or bought in person from the box office at the stadium which is open during the week from 9.30 am to 5.00 pm. Generally speaking the cheapest tickets are for the higher sections such as Bench B, whereas Central A are the most expensive. 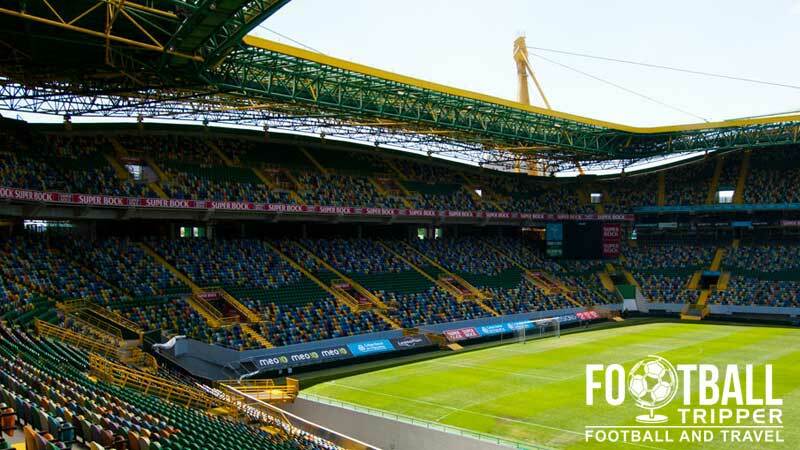 Estadio José Alvalade is located approximately 7 miles north of Lisbon city centre close to Campo Grande which is the campus of the city’s main university. The stadium is located on The Segunda Circular which is the major ring road of Lisbon, and can be reached by taking the Estádio de Alvalade exit. There are a moderate number of spaces located just north-east of the stadium but the official website hasn’t got any information regarding matchday availability and price. Rossio Railway Station aka Estação Central is the main train station of Lisbon. Located on Rossio Square it is well connected to the rest of Portugal and it is 6.7 km south of Sporting’s stadium. The closest metro station is Campo Grande Station which can be accessed via both the yellow (Amarela) and green (Verde) lines which is coincidetally the two colours of Sporting Lisbon! Depending on your starting location it may make sense to take either, however the green one is much more accessible from the city centre. The stadium is served by several Carris bus routes throughout the city and local area including 1, 3, 7, 36, 47, 77, 101, 106 and 108. Lisbon is served by Aeroporto da Portela which is the largest airport in Portugal. Often known as Lisbon Portela Airport, it is located pretty much adjacent to José Alvalade Stadium, less than 10 minutes by car. If you’re looking for something more or less right next to the stadium you’re in luck as there’s a Radisson Blue Hotel. Otherwise you’re better of looking back towards Lisbon city centre – anywhere within a 5-10 minute walk of the two metro lines would be ideal.